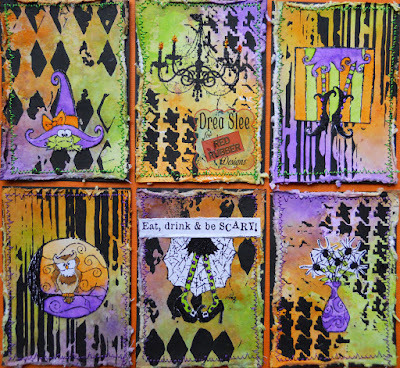 Hello and happy October! 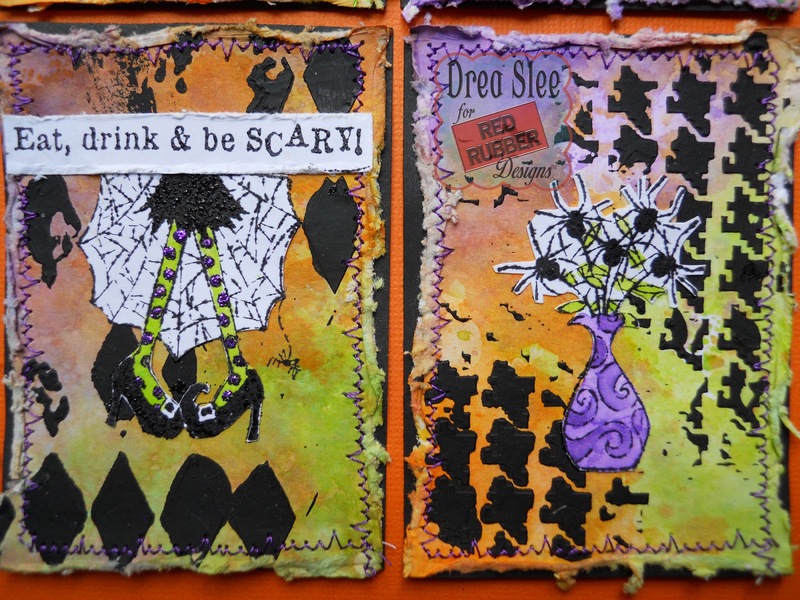 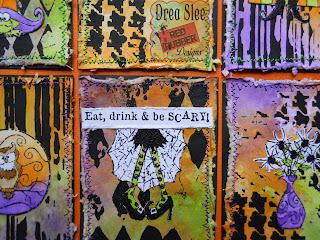 With Halloween approaching, I created some ATC's to feature the Haunted Halloween and Be Scary Cling Mounted Rubber Stamps from Red Rubber Designs. 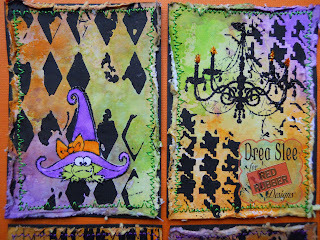 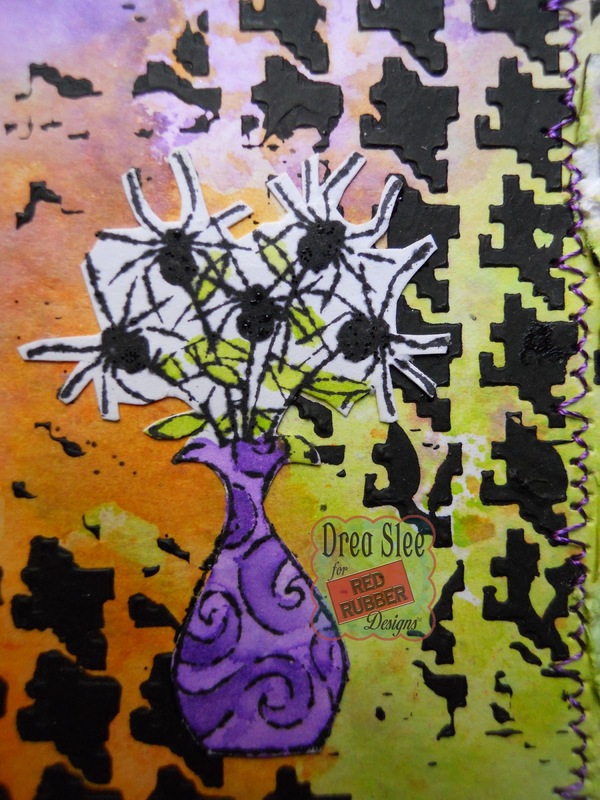 Each one was smooshed with Distress Inks (Carved Pumpkin, Twisted Citron, and Wilted Violet) onto white cardstock. Then I applied black gesso to three different stencils to create the stripes, diamonds, and gingham. All of the stamping was done with Ranger Jet Black Archival Ink, and embossed with Emerald Creek (Onyx Frost) EP using the Haunted Halloween and Be Scary Stamps. After distressing all of the edges, I machine-stitched around them using green and purple threads, and mounted them to black cardstock measuring two and a half inches by three and a half inches. 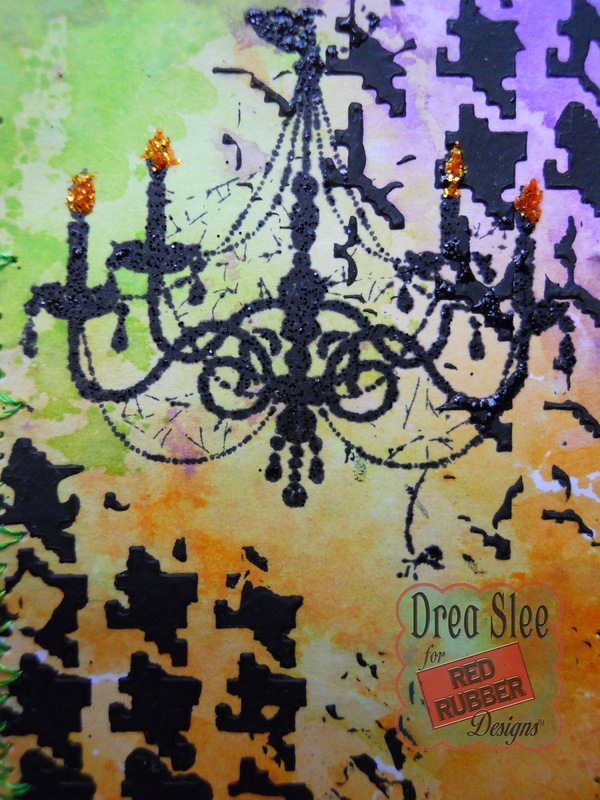 The chandelier was the only stamp that wasn't fussy-cut. 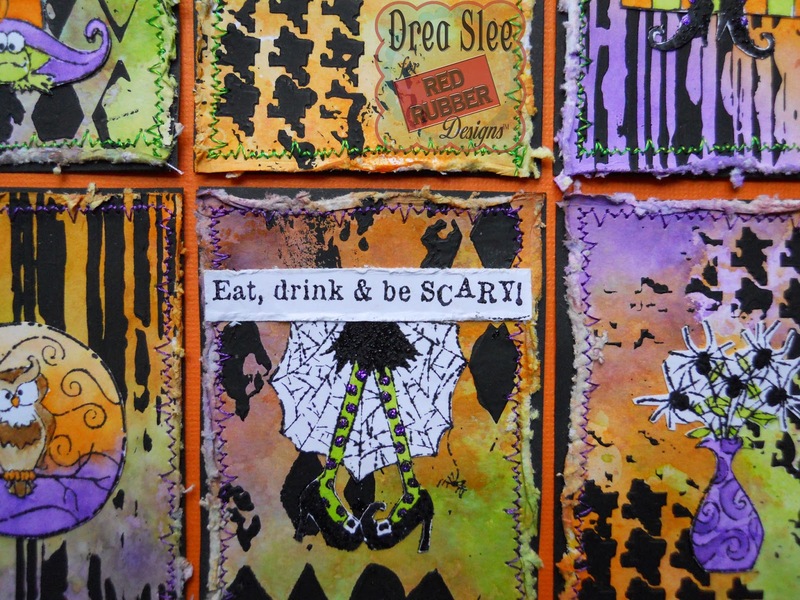 Then I went over the flames with Stickles (Orange Peel), and used Stickles (Purple) to color the dots on the witch's legs. 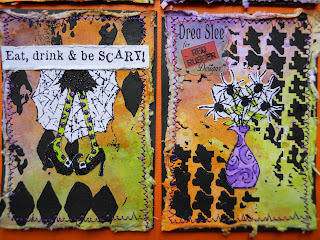 Thanks for looking, and stop by Red Rubber Designs for these stamps and more!